As the season comes to a close cross the country, LVSers continue to gain national respect as they find themselves on the prestigious TopDrawerSoccer.com ALL-AMERICAN Watch List. Of the 200 players in the nation that have made the list, 4 of those names are Abby Geiser, Laci Earixson, Mya Ulloa, and freshman, Avery Hutka. The All-American teams will be announced following the completion of the spring high school season. The varsity earned a first round playoff bye and a second round home playoff match with an overall record of 19-6-2 and a district runner-up finish. 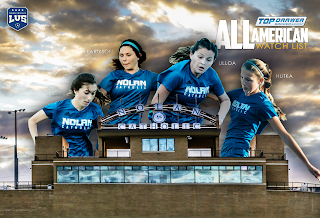 The Lady Vikings will host John Paul this afternoon at 4:00pm at Doskocil Stadium on the campus of Nolan Catholic High School. LVS head coach, Jay Fitzgerald commented, "What a wonderful opportunity to earn a playoff home match to allow our amazing supporters another chance to come out and cheer us on right here in our own back yard." The varsity will travel to Mineral Wells tonight to take on WF Rider in a non-district match-up at Mineral Wells Rams Stadium. Kick-off tonight is scheduled for 5:30pm. With a current overall record of 19-5-2 and a district runner-up finish, the Lady Vikings received a bi-district playoff bye so will use this match tonight as a playoff prep match to get ready for post-season next week. The Lady Vikings have rattled off significant results this year against national powerhouse teams like, St. Thomas Aquinas from Florida, Steele Canyon from California, in town teams like Keller High School, travelled to the Tri-Valley Classic in California, hosted the top high school girls showcases, won the Bear Cave Classic, have been ranked as high as #39 in the nation and currently #5 in the area. Scoring over 4 goals a game and averaging less than a goal a game given up, the Lady Vikings have 16 shutouts on the year. Seven players on the varsity squad have scored double digits in points combining goals and assists. Head coach, Jay Fitzgerald said, "We have had a lot of variety this year in terms of our competition, the contribution we are getting from individual players, the versatility of roles, and most of all the leadership." The Area Round Playoffs begin next Tuesday at home at 4:00pm against John Paul II. The men will follow at 6:00pm. Their opponent is to be determined. The JV will participate in the TAPPS JV Post-Season Tournament tomorrow starting with the semi-final matches kicking off at 9:00am at Gateway Park. The Lady Vikings will take on Ursuline and the winner will play in the championship match at Nolan Catholic at 1:00pm. The Lady Vikings continued district play at home last night vs All Saints improving to 18-5-2 on the season. Senior, defender Lauren Bettinger got the night started with her first goal of the year on her first shot of the year. How fitting it was for her to score the game-winner on SENIOR NIGHT. It was decided before the season that she would not play her senior season due to a variety of concussions she had throughout her club and high school career. 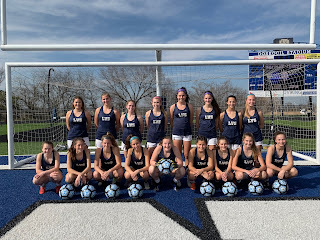 Head coach, Jay Fitzgerald mentioned, "LVS is a collection of stories and for Lauren to score the first goal of the game, on her first shot of the season is special and it couldn't happened to a more deserving person." The Lady Vikings went on to score 6 more goals, 2 in the first half and 4 in the second half. Along with the goals from Bettinger, Abby Geiser scored 2 on the night while Maddie Caffey, Avery Hutka, Maggie Tepera, and Sophie Bailey each scored. Liberty Christian is the opponent on Thursday which will kick-off at 6pm in Argyle. 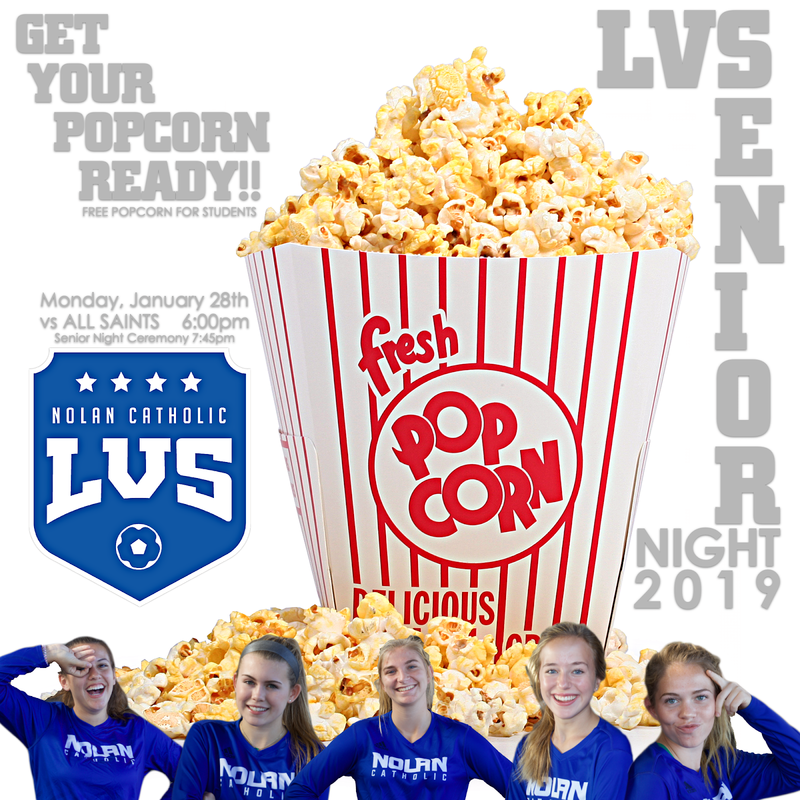 We will be recognizing 5 special seniors following the match tomorrow night vs All Saints. Kick-Off is at 6:00pm and the senior ceremony is estimated to begin around 7:45pm. 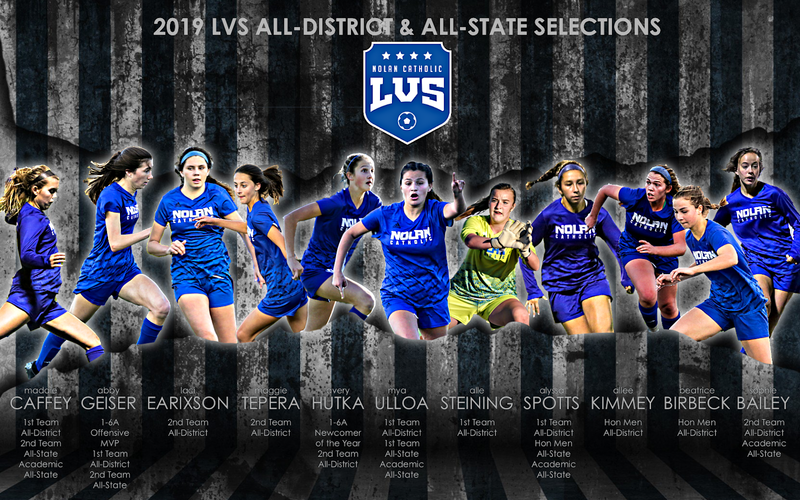 Your LVS Class of 2019 consists of Sophie Bailey, Lauren Bettinger, Maddie Caffey, Deborah Cottrell, and Allee Kimmey. 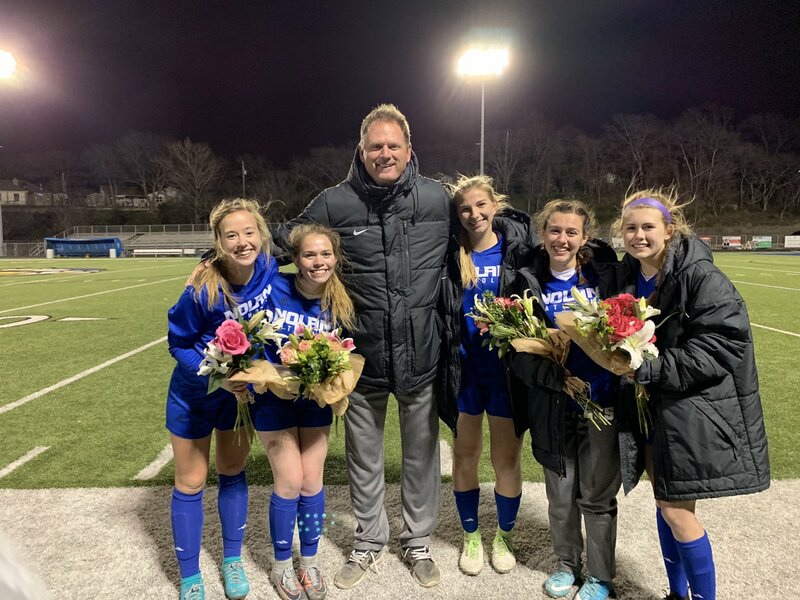 Cottrell has been apart of LVS for almost a decade as her brother and sisters have all been apart of the program, while Bettinger and Kimmey have also had siblings play in the program. This is a special group of seniors that have meant so much to the program compelling over 70 wins for the Lady Vikings outscoring opponents 363-133 with 2 Final Four Appearances. Caffey, Bettinger, and Kimmey have been on varsity since their freshman year with Bailey and Cottrell joining their junior years and immediately making an impact. 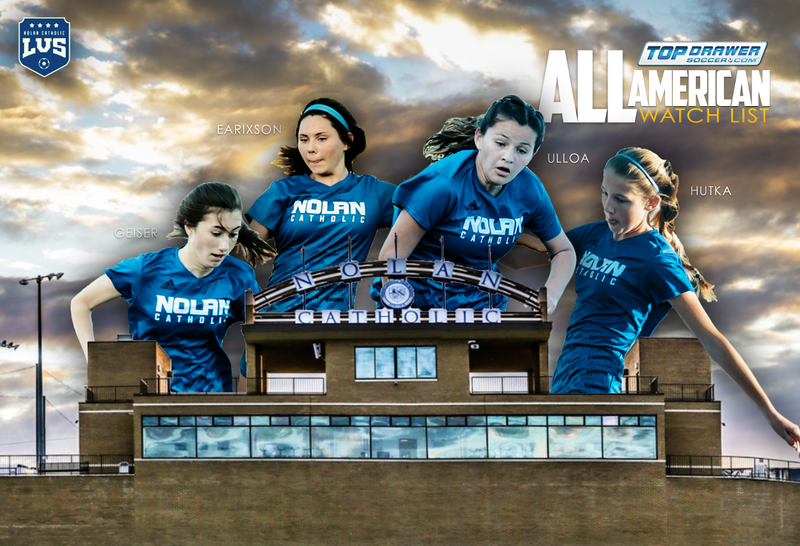 The Nolan Catholic Womens Soccer Class of 2019 will be recognized tomorrow night following the match. Please come out and help celebrate these seniors final season during our 3rd edition of the #lvsSeniorNight #YaBurnt presentation. The Lady Vikings look to rebound after a district loss to TCA last week with a trip to Austin to take on Rouse, Cedar Ridge, and Cornerstone Christian. Always up for a challenge, strength of schedule is at the top of the list for Nolan Catholic. 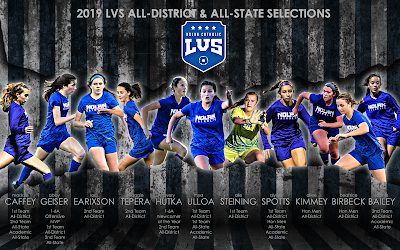 LVS, head coach, Jay Fitzgerald said, "We have always had a strong district but we want our non-district schedule to be even more challenging." 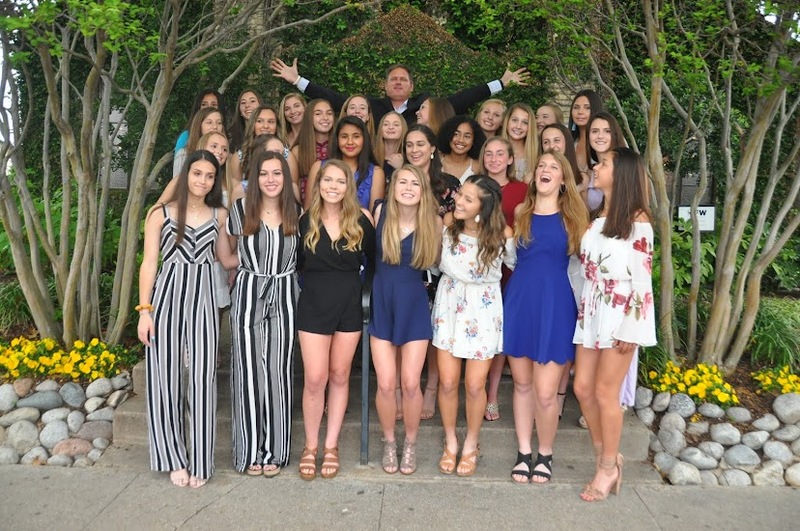 With a trip to California, host of the nations top high school girls showcase in NEPS, and matches against top UIL programs in the state, the Lady Vikings want the best experience not just locally but regionally and nationally as well. With an overall record of 15-5-1 on the season, the Lady Vikings have been ranked #39 in the country and #15 in the state and now are currently #5 in the area. "Going south and finding quality opponents is good for us. The travel, the team building, and the change of scenery is key, " mentioned Fitzgerald. Rouse High School has challenged themselves as well as they competed in NEPS and the Governors Cup playing top competition like Plano West and Southlake Carroll. Cedar Ridge is no different. Cornerstone Christian is a school that takes their athletic program to the next level as they compete independently like an IMG out of Florida seeking the best competition and player development. 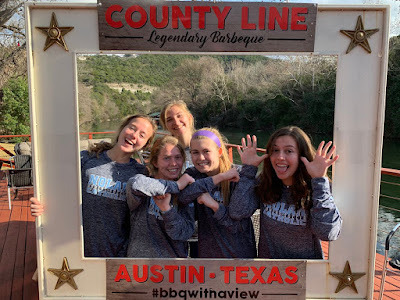 The Austin trip will help the Lady Vikings refine their strong culture, develop a concrete understanding of program expectations, and of course, build team cohesion and chemistry. The time is right for the Lady Vikings as they are 9-1 since coming into 2019 defeating powerhouse teams from Florida and California in St. Thomas Aquinas and Steele Canyon as well as local teams like Keller High School. Thursday night the Lady Vikings take on Rouse at their place at 5:00pm and then right back at it again the following night at Cedar Ridge at 5:30pm. On Saturday, an opportunity to play at St. Edward's University was made available and that is where the Lady Vikings will take on Cornerstone Christian. The time of the match will either be at 1pm or 3pm. 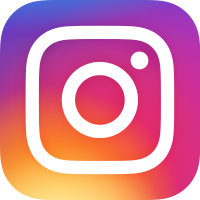 Follow the Nolan Catholic Women's Soccer team on Twitter and Instagram @nolansoccer. Events, pre-games, and matches will be updated and at times LIVE. The JV and Varsity soccer teams competed in the Bear Cave Classic last weekend with both teams earning a trip to the championship match. The JV took on Burleson Centennial who had outscored opponents 30-0 prior to entering the final against LVS. LVS had shutouts of 8-0 and 7-0 against Mansfield Summit and Carter Riverside earning their second straight berth in the championship. Olivia Tankersely led the way with 3 goals in bracket play with Vic Watson, Alex Alvarado, and Isabella Hernandez scoring 2 a piece. Avery Pick, Bella Tankerseley, Elena Ramirez, Maddy Townsend, Katherine Perez, and Emma Mueller each added one. In the final the Lady Vikings were down early fighting back coming up short with a missed PK and a couple other quality chances to equalize. In the end, Centennial held off the furious Lady Viking attack to win 2-0. The JV rebounded on Tuesday night at home as they hosted Castleberry scoring a dozen plus goals in route to a 17-0 win. Watson and Tankerseley O. recorded the hat trick with 2 goals each by Lilly Martinez, Victoria Clark, and Isabella Hernandez. Also adding to the score sheet on Tuesday were Avery Pick, Olivia Delvac, Elena Ramirez, Angela Lubrano, and Katherine Perez. The varsity defended their Bear Cave Classic with 4-0 championship match win over Cedar Hill with freshman, Avery Hutka scoring all 4 goals for the Lady Vikings. In route to the final, Carter Riverside, Sherman, and Cedar Hill were shutout by a combined score of 22-0. Laci Earixson scored 6 on the weekend with Abby Geiser scored 5. Returning home to host Castleberry on Tuesday night, the Lady Vikings picked up right where they left off. Hutka scored 2 more with Sophie Bailey, Laci Earixson, and Olivia Tankerseley totaled 5 goals on the night. The JV have advanced to the Bear Cave Classic Championship tomorrow at 3:10pm vs Burleson Centennial on Field 2 at Brewer High School. They look to avenge last years championship lose to Martin. The varsity continues bracket play against Sherman at 1:50pm at the Stadium and with a win advance to the Championship kicking off at 8:30pm. They look to defend their Championship from last year after a dramatic 19-Round PK Shoot-Out win over Denton Ryan. The Lady Vikings JV and Varsity teams hosted Keller High School on Tuesday night. The JV were involved in an end to end battle in the first half but down 2-0 early. Just before the half, Victoria Watson was able to get the Lady Vikings on the board. Unfortunately, the Lady Indians were able to punch in 2 more goals in the second half of play downing the JV by a score of 4-1. The varsity on the other hand started strong and finished strong, improving to 10-4-1 with a 2-1 victory. Abby Geiser scored her 12th goal of the year as she was able to intercept a Keller pass and take it behind the goalkeeper for an early Lady Viking goal. LVS head coach, Jay Fitzgerald commented, "This was one of the best starts to a game so far this season." The Lady Indians were able to get themselves on the board in the 32nd minute forcing the Lady Vikings to pick up the level starting in the second half of play. With a sustained attack the majority of the match, the Lady Vikings were able to get themselves back on top with a 60th minute strike from Laci Earixson, her 10th of the year. The game did pick up after the Lady Vikings took the lead with chances from both sides. Not forgetting what happened the year before when the 2 teams met, the Lady Vikings were not going to let the lead slip away and the 2-1 result stood. Next up for the Lady Vikings is the Bear Cave Classic and both teams have something to prove. The JV is looking to avenge a championship match loss from last year while the varsity look to defend their 19 round, PK shootout championship over Denton Ryan in last years event. The JV kicks off at 8:30am tomorrow morning with the varsity following at 9:50am. The forecast is for rain and the schedule may change a bit but as of now, both teams are scheduled to play 2 games. The Lady Vikings Soccer Program combined for a 4-2-0 record this past weekend outscoring opponents 14-6 between the varsity and JV teams. The JV competed in the GCISD Invitational placing 6th overall out of 8 with a strong field of school from Southlake Carroll, Coppell, FM Marcus, Byron Nelson, Grapevine, Eaton, and Colleyville Heritage. Vic Watson and Elena Ramirez each scored 2 goals in the event with Lili Martinez and Olivia Delvac each scoring one a piece. A heartbreaking 1-0 loss in the opening match to Byron Nelson motivated them in their second match against Colleyville Heritage which they rebounded with a 6 goal, shutout over the Lady Panthers. Matching-up against Southlake Carroll in the Consolation Final didn't go as expected going down early and just could not make up for goals conceded early. The group looks forward to an opportunity to prove themselves once again this evening against another solid opponent as they host Keller High School at 5:30pm. 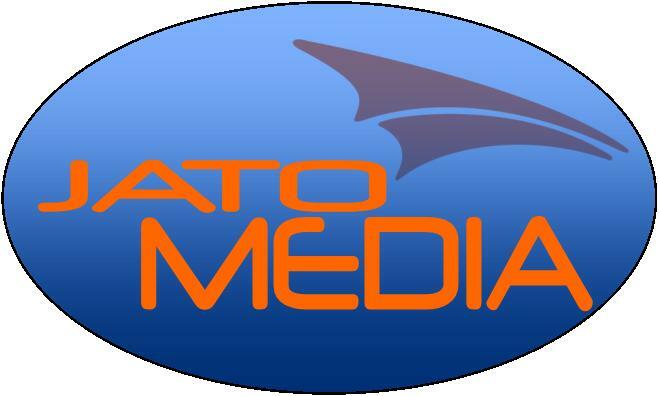 CLICK HERE to Watch LIVE. The varsity continues to roll from their success in California at the Tri-Valley Classic in San Francisco over the break with an undefeated showing at the National Elite Prep Showcase presented by JATO Athletics going 3-0 with wins over national powerhouse teams from Florida and California, finishing up with a victory over Lubbock Coronado. Two-time National Champion, Florida St. Thomas Aquinas rolled into town as the Lady Vikings opening opponent. Junior, Mya Ulloa started the scoring in the 9th minute of play off a combination between Avery Hutka, Laci Earixson, and Abby Geiser. In the 27th minute, Ulloa converted on a PK to double the Lady Viking lead. Just before half the lead was cut in half by a quality goal by St. Thomas making the break a bit more stressful. Head coach, Jay Fitzgerald said, "With such a strong start it was a bit of a let down to concede late in the half." The Lady Vikings knew what they had to do and another strong start to the half was what they needed and what they got. Freshman, Avery Hutka increased the LVS lead to 2 again off a corner from Rachel Firestone. "If you are going to beat one of the best teams in the country, you have to be able to respond and that is what we did, " said Fitzgerald. The event continued on Day 2 and the opponent didn't get any easier. Steele Canyon rattled off 12 goals in their first 2 games of the event. The San Diego high school was cruising as one of the most dynamic attacking teams of the event. The Lady Vikings were well prepare and riding huge momentum coming off their Aquinas win the evening before and knew that the game plan and preparation must be clear in order to have success in game two. It was Ulloa again striking first off a first time smash from Maddie Caffey. That was all that was needed to keep the massive momentum they gained from day one. "We needed to score first in order to set the tone and when we did, we were not going to give up anything. I just felt it, " commented Fitzgerald. Steele Canyon mounted some quality possession but the Lady Vikings were able to break that rhythm with some really nice responses in possession on their own. That gritty performance got the Lady Vikings their second win of the showcase. Now on to Day 3, the Lady Vikings knew the first 2 matches of the event would mean nothing without finishing out the final game. Fitzgerald told the team before the match that "the true identity of our team will show up today." Lubbock Coronado, a solid west Texas team with 2 wins of their own and the majority of their players on the same club team wanted that undefeated mark as well. A shaky start at best saw the Lady Vikings sunder the gun and on their heals a bit during the beginning of the half until sophomore, Paola Vazquez was able to score a clutch goal to get on the board first. That goal allowed LVS to breath a little bit. Holding a 1-0 lead at the half, Hutka again was able to come through in the second half with a pair of goals to solidify the win and the undefeated mark in the 17th Annual National Elite Prep Showcase. "I am really proud of our group. Starting with our freshman goalkeeper, Alle Steining, all the way through the middle of the park, we were solid. You couple consistent, self-aware goalkeeper play with warriors through the spine of the team, that can get you some much deserved results. Transition was key to going 3-0 on the weekend and clutch dynamic attacking play with our midfielders and wingers." The National Elite Prep Showcase is in its 17th year hosting one of the top high school girls showcases in the county. This year FAB 50 No. 3 Southlake Carroll (Texas), No. 36 Byron Nelson (Texas), No. 40 Carondelet (Calif.), No. 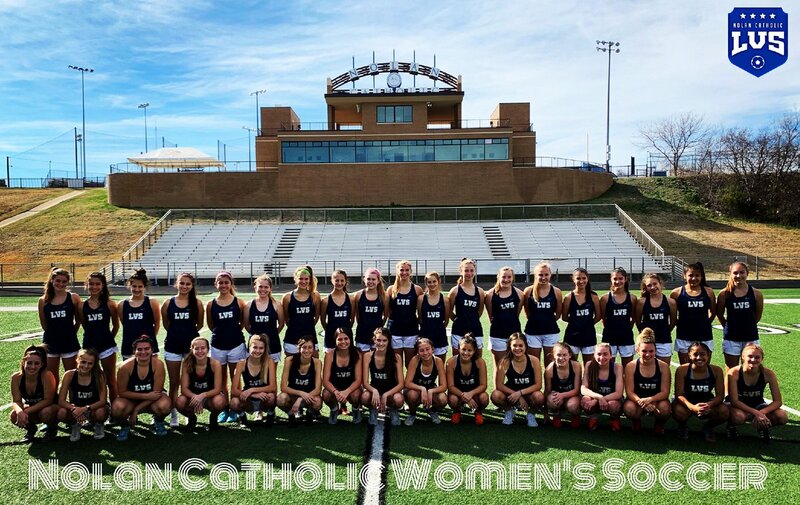 46 Ursuline Academy (Texas), regionally ranked Nolan Catholic (Texas), regionally ranked Harvard-Westlake (Calif.), Plano West (Texas) and Liberty (Calif.) finished the weekend undefeated. Teams played either three or four matches during the three-day event. No team went 4-0, Nolan Catholic went 3-0, Southlake Carroll and Plano West went 3-0-1 and Harvard-Westlake was 2-0-2. The Lady Vikings return home tonight to host Keller High School with a JV/Varsity double header starting at 5:30pm. 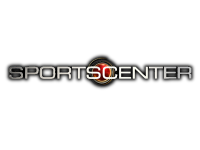 Both games will be broadcast live. The varsity match will begin around 7:15pm. CLICK HERE to Watch LIVE. The Nolan Catholic Women's Soccer team didn't have much of a Christmas Break as they traveled West to San Francisco to the Tri-Valley Classic. The Lady Vikings spent 4 days on the West coats competing against the highest competition possible. Head coach, Jay Fitzgerald talked about the challenge, "We want the most competitive schedule in the country. I think we are the only team that spends a third of their season playing out of state teams." On day of Tri-Valley, the Lady Vikings took on St. Francis Catholic from San Jose, CA. The game was end to end with Nolan Catholic leading 1-0 and 2-1 until giving way in the end 4-2. Goals were scored by Abbey Geiser and Laci Earixson. "We did some really good things in this game but just didn't manage some important moments," Fitzgerald said. Just 3 hours later, the Lady Vikings take to the field again against a strong Bishop O'Dowd team but this time had to climb back from a goal given up in the early minutes of the game. Abbey Geiser scored her second goal of the event to equalize just 10 minutes after the Lady Vikings conceded. All the scoring was done in the first half of this match and O'Dowd got themselves back in the lead off a corner in the final minute of the first half. More end to end action in the second half but the score remained 2-1 Bishop O'Dowd. After some good rest and a double header on Day 1, the Lady Vikings took to the field again against a gritty Windsor High School team from Santa Rosa, CA. Avery Hutka, Abbey Geiser, and Deborah Cottrell put the Lady Vikings up 3-0 and before you know it, with 15 minutes remaining and playing a man down, the scored is tied. Fitzgerald mentioned, "We got comfortable and you know what that means... we just didn't continue to do the things we did to take the 3-0 lead but the response was tremendous." Just after Windsor equalized the Lady Vikings responded and Avery Hutka added to her earlier goal and Laci Earixson put the nail in the coffin to seal the 5-3 win. For the past 3 seasons, the Lady Vikings have used out of state opponents to re-affirm their identity and this year will be no different. The challenges this Lady Vikings team faces each and every year are beyond adverse. NEPS2017 battling in sub-freezing temps forced inside on a small field against California Grace Brethern, then the NIKE So Cal High School Classic playing 4 games in 4 days with OT and a PK Shootout, and then this year, 3 games in 48 hours at Tri-Valley. All that to return home on Christmas Eve, have a 3 day break and then back at it again to prepare to host the National Elite Prep Showcase and take on 2-time National Champion, St. Thomas Aquinas from Florida in the opening match. "I want these young ladies to have the best experience with the most difficult challenges. By the time they are done with their high school careers, I want them to be better people, problem solvers with a No Fear mentality, " mentioned Fitzgerald. Both Lady Vikings teams took to the field tonight in near freezing temperatures in the GCISD JV Invitational and the National Elite Prep Showcase. The JV took on Bryon Nelson and moments before overtime was possible, they conceded a late goal to drop their opening match of 2019. They will take on Colleyville Heritage tomorrow at 4:00pm at Cross Timbers Middle School. 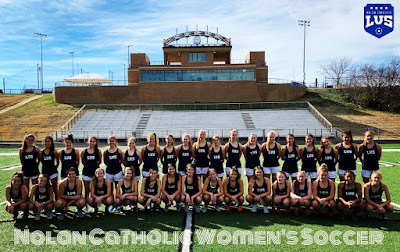 The varsity played host to Florida St. Thomas Aquinas in NEPS2019 scoring one of the nicest goals you will ever see. Avery Hutka, Laci Earixson, and Abbey Geiser combined to get the ball to Mya Ulloa who hammered home a one-touch finish in the 9th minute to get on the board first. With 14 minutes to play Ulloa doubled the lead pasting a penalty kick in off the goalkeeper and in the corner. Just before the half, the Lady Vikings lead was cut in half of a counter from Aquinas making the break a bit more tense. Defensively, LVS was solid the entire match lead by center backs, Maddie Caffey and Alyssa Spotts and freshman goalkeeper, Alle Steining.